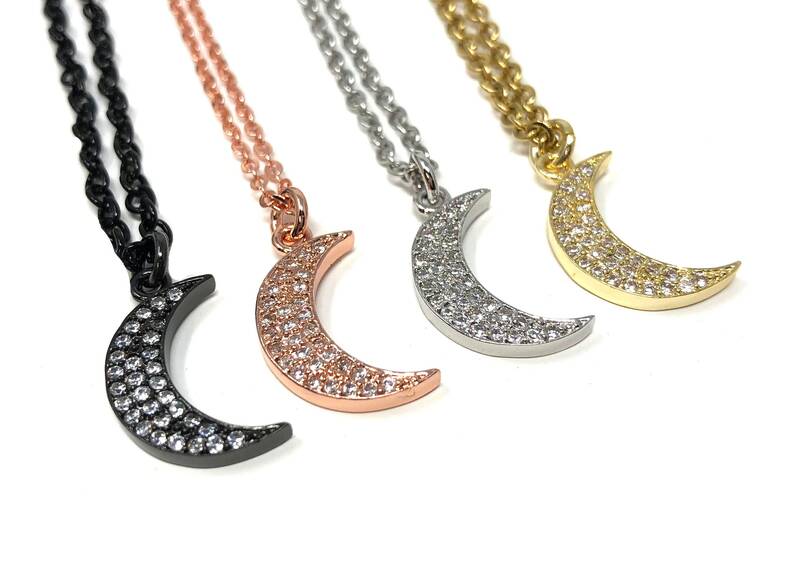 These beautiful pave moon necklaces are 14 inches with a 5 inch extender chain. Multiple finishes available. Lead and nickel free.